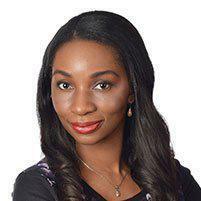 Dr. Yetunde Sannoh always appreciates feedback from her valued patients. To date, we’re thrilled to have collected 16 reviews with an average rating of 4.88 out of 5 stars. Please read what others are saying about Dr. Yetunde Sannoh below, and as always, we would love to collect your feedback. Dr. Sannoh is a wonderful Dr. She listens to your concerns and address each one. I tell everyone i know how caring, patient and helpful she is. I am definitely healthier that I've been seeing her. Dr. Sannoh is extremely professional, yet personable. She does a wonderful of explaining things to you in layman’s terms when you have questions. I found her to be very thorough, patient and attentive when addressing a medical concern. Great doctors are hard to find but we have found named Dr. Sannoh. Dr. Sannoh is phenomenal, from start to finish she remained attentive to each medical issue I addressed with her. God has truly annoited her with a calling in the medical profession. Truly satisfied with the services I received today!!! I had a great experience first time meeting Dr Shannon. Awesome doctor who really cares about your health. A warm welcome, it felt like my health concerns, has become your health concerns. Very professional & handled my concerns. Dr. Sannoh was very personal and explained topics I didn't understand thoroughly. I was very comfortable explaining my situation and concerns with her. I am so glad to have been referred to Dr. Sannoh. Her assistant/nurse was also very pleasant and genuine also.